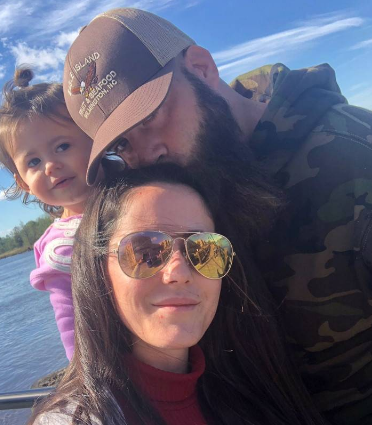 Teen Mom 2's Jenelle Evans Is Trying To Cover Up Her Husband's Domestic Abuse...SHE NEEDS TO GET OUT! (911 AUDIO) - T.V.S.T. We told you yesterday that David ‘The Douchebag’ Eason had assaulted Teen Mom 2 star Jenelle Evans last weekend. Evans actually went to the hospital for her injuries. After news spread online, Evans tried to play the whole thing off as a misunderstanding. This is common for women in abusive relationships. They will defend their abuser, even after they punch, kick, and push them. It’s a f**ked up situation. Jenelle first tried to claim the report was false and that she had just tripped during a party in their backyard on Saturday night. “My name is Jenelle Eason…and my husband, he just assaulted me. He pinned me down on the ground…in the yard and I think I heard my f–king collarbone crack. I can’t move my arm. He’s been drinking and I think that he got violent ’cause he was drinking. I’m recovering from a surgery I got on Monday. According to multiple sources, Jenelle is pissed right now because she did not know the 911 audio was going to be released. After all, if it hadn’t been released, most people might have believed her “tripping” excuse. Ah, right…a misunderstanding. I’m not sure if Jenelle knows what that word means. What part was a misunderstanding? The part where he pinned you down on the ground and nearly broke your arm? I’m pretty sure that’s just abuse.